I had a lot of fun playing golf at the Links Course at Wild Dunes Resort. The Tom Fazio design is fair and relatively straigtforward, with wide fairways and large greens. As befits a resort course, there’s no hidden trickery to trip up one-time or infrequent players. The Links Course at Wild Dunes Resort is no pushover, but I think a first time player would not feel as though they had been beaten up. 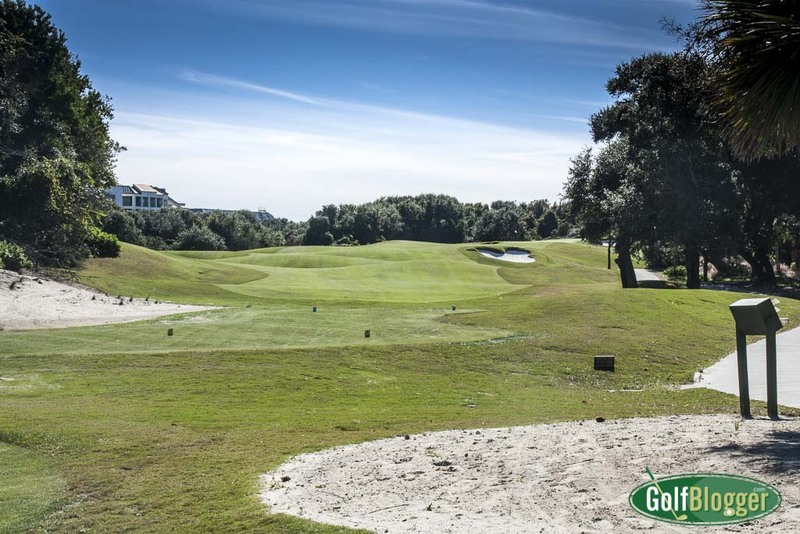 The Links Course at Wild Dunes Resort is a pretty course, blessed by lush South Carolina vegetation, and with fairways flanked by multi-million dollar beach houses. 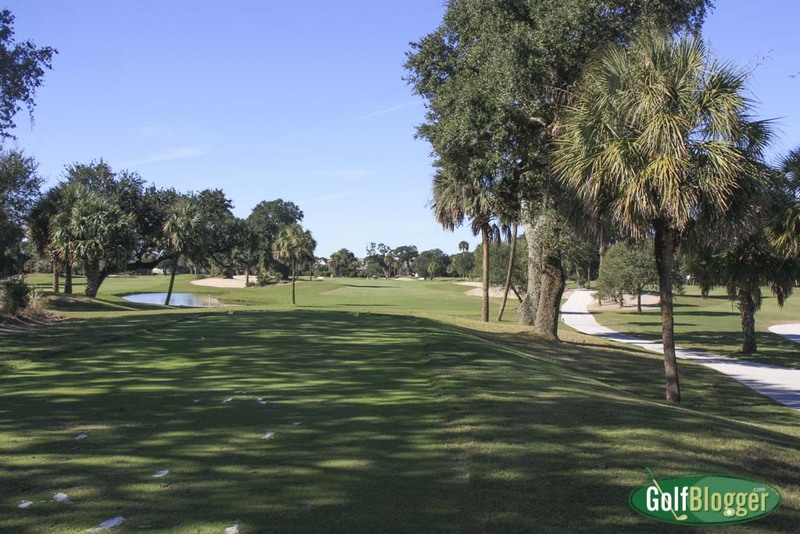 It plays through palm-lined parklands, past marshes and ultimately along beach and sea. Originally built in 1979, the Links Course at Wild Dunes Resort was Fazio’s first solo effort. In the summer of 2015, the course underwent a multi-million dollar face lift under Fazio’s supervision. The renovation included increasing the square footage of the greens from 62,000 to 115,000 and easing the severity of the breaks. This was necessary because of the changes in agronomy and the game over the last thirty years. The new, faster and smoother surfaces had made a few of the greens too difficult. The eighteenth at the Links Course at Wild Dunes Resort is a 175 yard par 3. The most dramatic change was to the original design’s seaside finishing par five. Wind and waves had reclaimed much of the hole, forcing the course to consider other options. Offsetting the loss of yardage on the eighteenth, Fazio was able to add some 300 yards by relocating tees and greens. 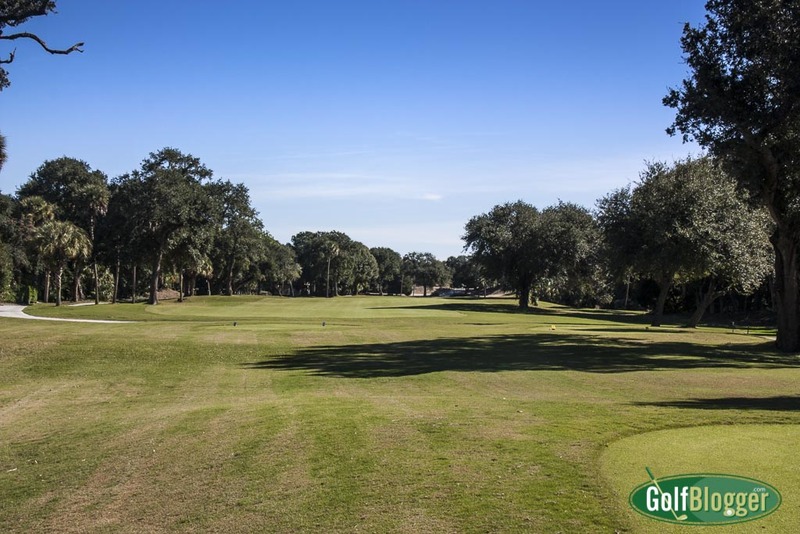 The renovation also included some new bunkering, six miles of new cart paths, a 6,000 square foot practice putting green and new grass. Under it all was a new irrigation system. The Links Course at Wild Dunes is a par 70, thanks to the necessary reduction of the finishing hole from a par five to a par three. Even so, the course measures 6, 383 from the tips and plays to a 71.7/128. From the white tees, it comes in at 5,856 and plays to a 69.1/117. My two favorite holes were the par 5 fifth, and the par 4 tenth. The fifth at the Links at Wild Dunes is a 508 yard par 5. The fifth at the Links Course at Wild Dunes measures 508 yards and turns ever so slightly to the right. Play the ball left (I went too far, under the trees), and you’ll be rewarded with a straight pair of shots into the green. The green is really neat, perched on top of a dune, with the approach a narrow valley between two mounds. Sand traps flank either side of the approach. This is one of the few elevated locations on this flat, lowlands course. The next hole launches from the same dune for an elevated tee shot. Don’t try to shoot the gap. A little short, left or right, and you’re in a those steeped-faced bunkers. Just fire the ball over the crest. The green behind it is quite large. I’d love to know if those traps were in the original design. The Fazio team said that new bunkers were added in the redesign to “frame” certain holes. Those white facing bunkers certainly frame the area of the green. 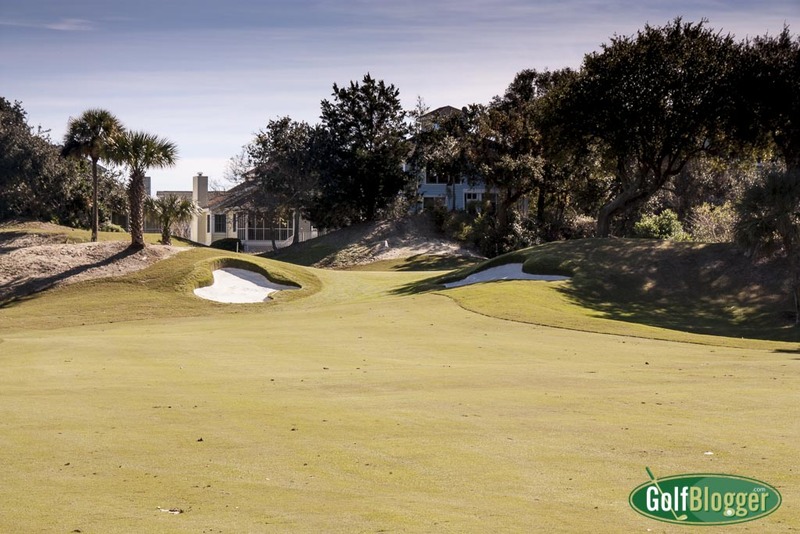 The par four tenth at the Links Course At Wild Dunes Resort is a fun uphill par four, measuring 331 yards. It’s the start of a three hole sequence that takes advantage of a large sand dune to add some height to an otherwise relatively flat course. With the undulating fairway, the tenth is sure to offer a new challenge each time you play it. I think that eventually, members would learn where to place the ball to get a flat lie. I had no such luck with a tee shot that drifted right, and just off the fairway. 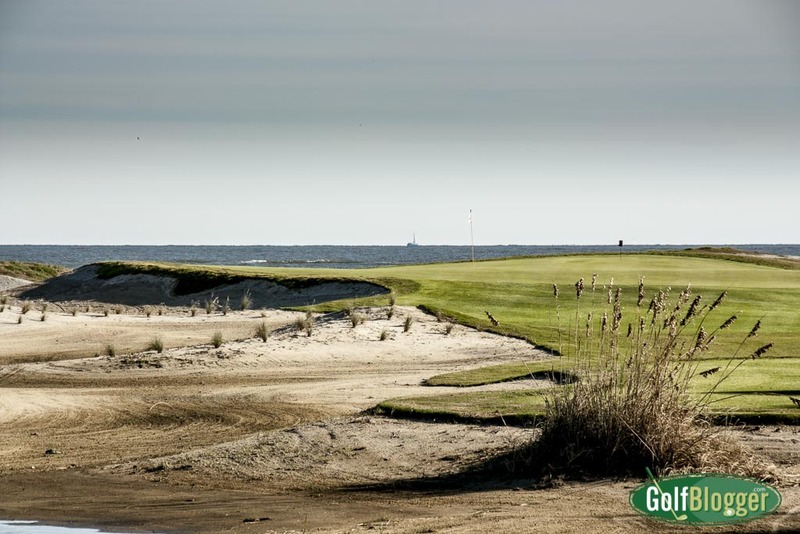 The course is called “The Links,” but there are really only two and a half holes that play alongside beach and water. The par 4 17th runs along the beach behind some dunes, and the new par three 18th is simply spectacular. By elevating the green, Fazio created a really dramatic finish. Conditions on the day I played were very good, especially considering the fact that the new grass on the course had not yet had a season to grow in. I thought the greens were in particularly good shape, being both smooth and fast. Just don’t go too far off the fairway. 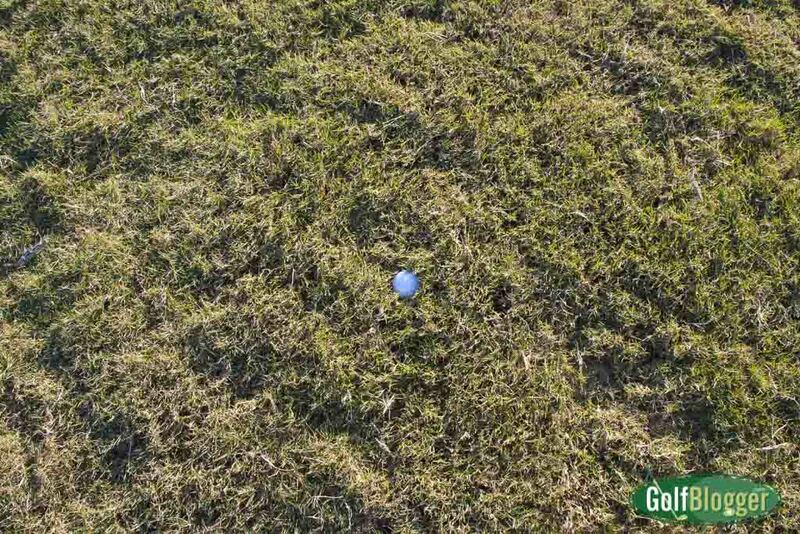 The grass will absolutely eat your ball. I had a lot of difficulty getting out of lies like this one. An added bonus of the course is that it is eminently walkable. I was able to borrow a pull cart for the round, which only added to my enjoyment. I’m sorry that I didn’t get a chance to play the resort’s other Fazio design, the Harbor Course. 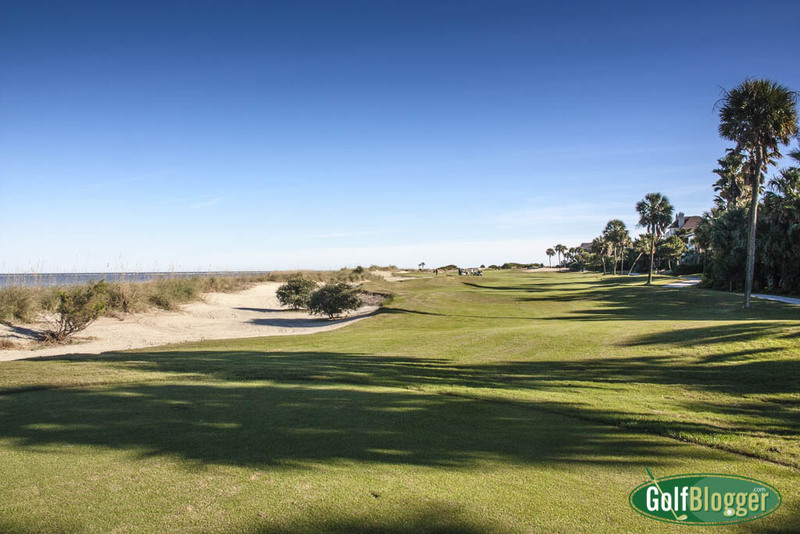 Both the Links and Harbor courses are part of the Wild Dunes Resort on Isle of Palms, which is a short ride from Charleston. The resort has vacation homes, condos, cottage rentals, suites and penthouses available for guest rental. In addition to golf and beach, the resort offers a wide variety of variety of activities. I’ll have more on the resort itself in a separate piece. Thanks to Wild Dunes Resort for hosting Mrs. GolfBlogger and me for the weekend. The second hole at the Links at Wild Dunes is a 363 yard par 4. The fourth at Wild Dunes is a 177 yard par 3. The ninth at the Links at Wild Dunes Resort is a 428 yard par 4. The eleventh at the Links at Wild Dunes Resort is a 376 yard par 4. The thirteenth at the Links at Wild Dunes is a 427 yard par 4. The fourteenth at the Links at Wild Dunes Resort is a 489 yard par 5. The fifteenth at the Links at Wild Dunes is a 426 yard par 4. The sixteenth at the Links at Wild Dunes is a 175 yard par 3.
Who Will Win the 2017 US Masters?